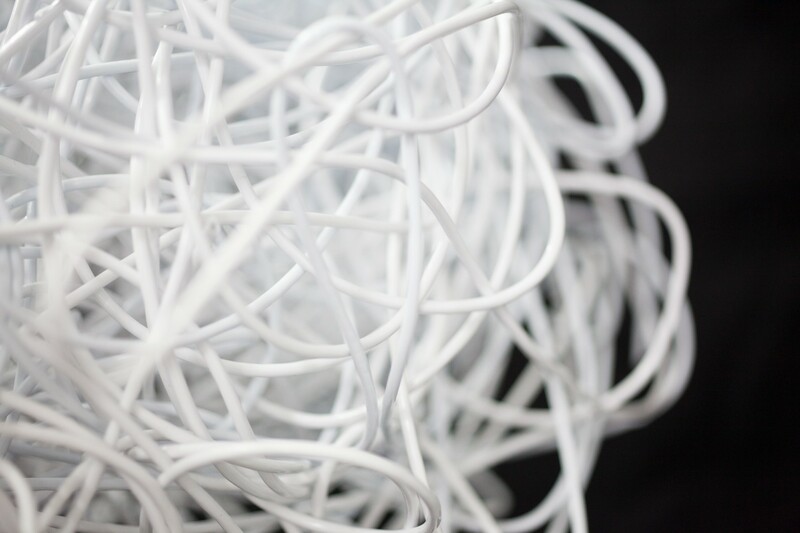 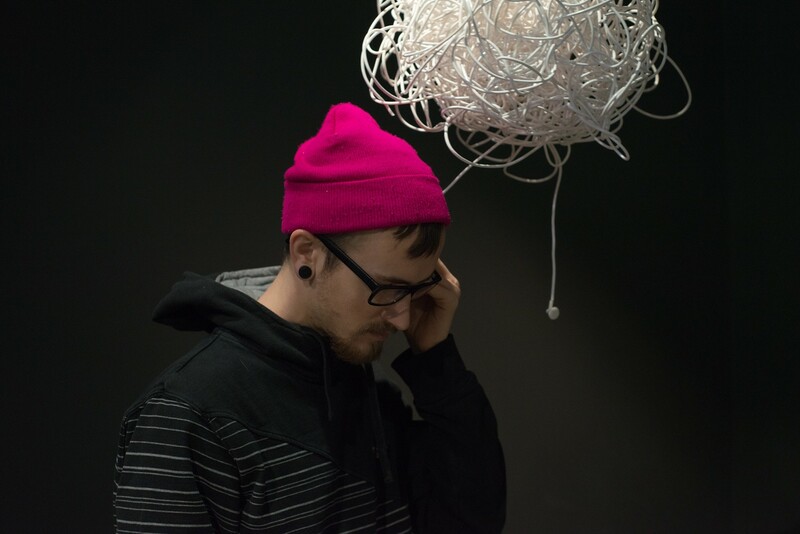 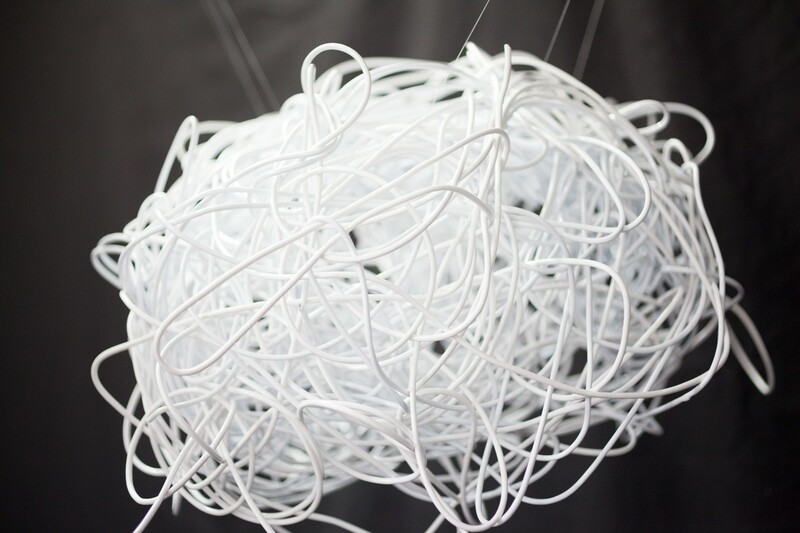 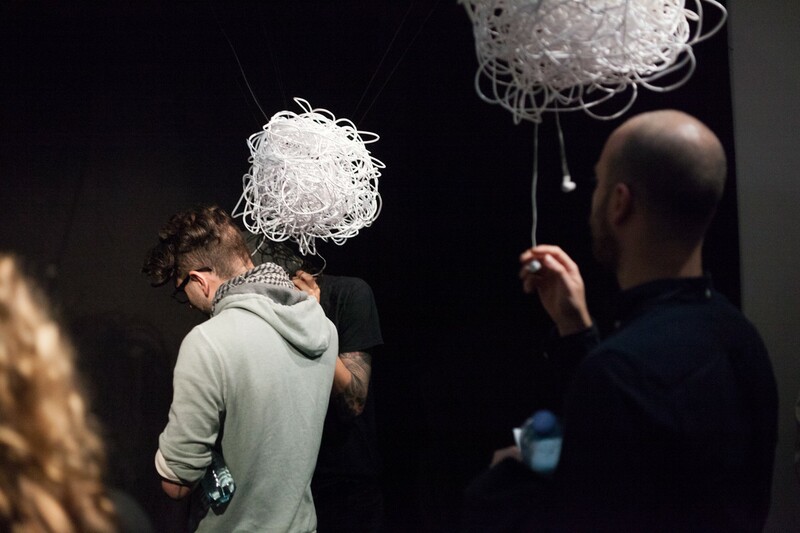 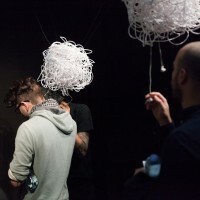 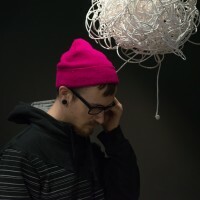 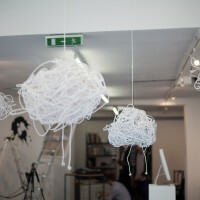 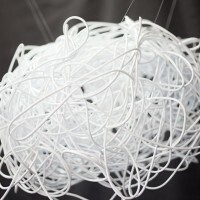 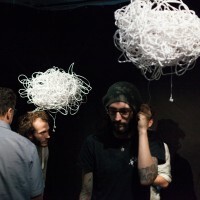 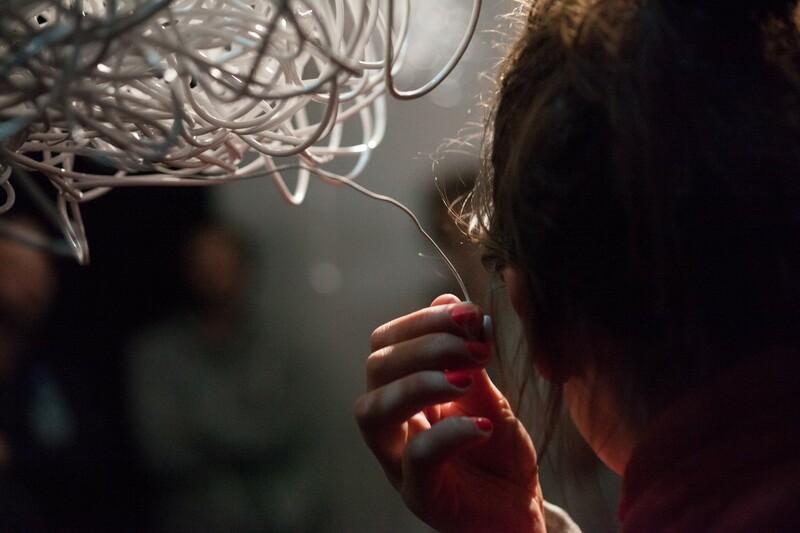 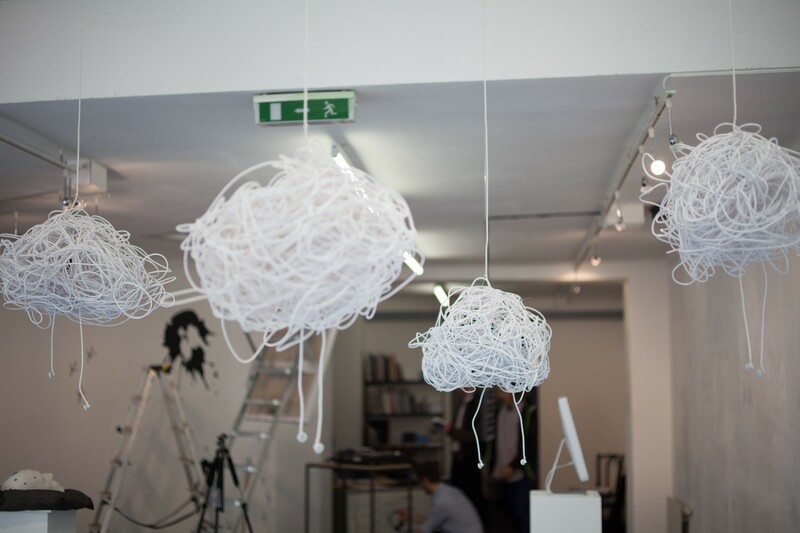 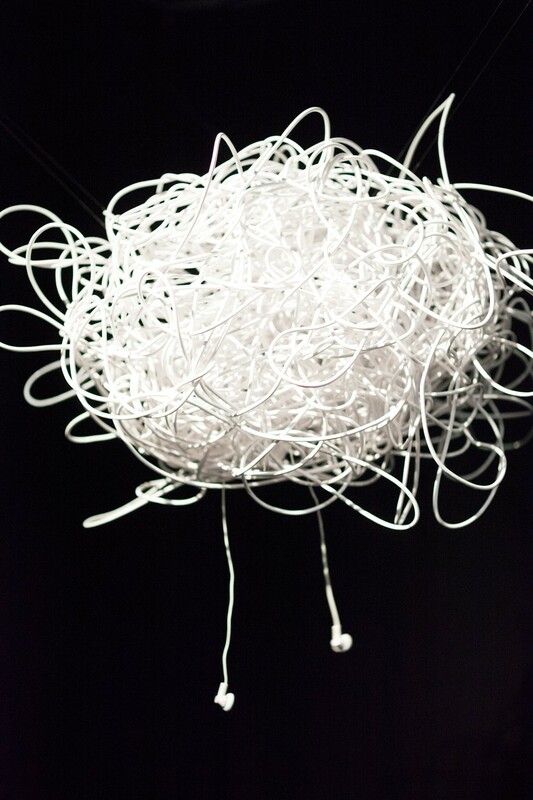 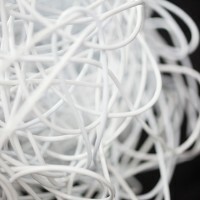 The installation consists of an arrangement of 4 cloud-objects made of white cable. 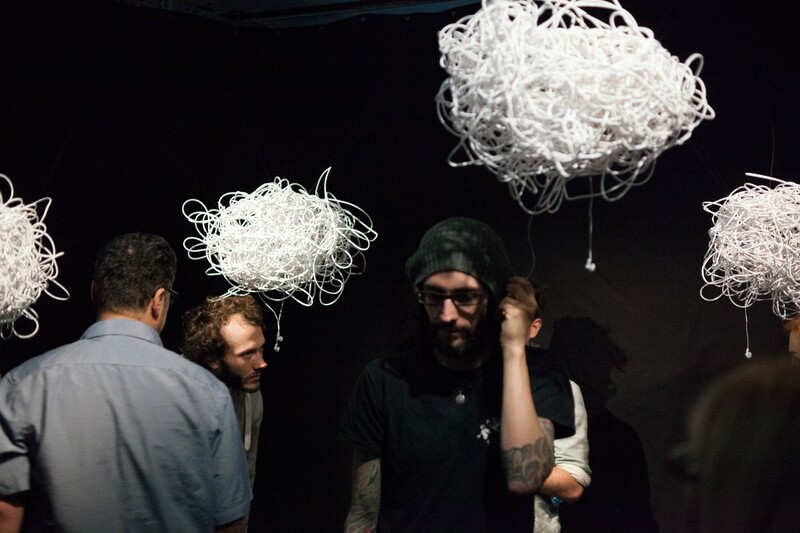 Four pairs of headphones - one attached to each of the clouds - function as sound sources. 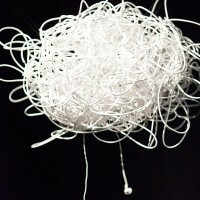 Verbal imitations of the sound of rain form the basis of the language being used. 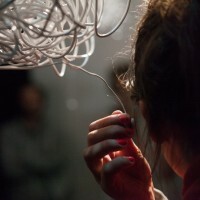 The imitations try to approach each other, they manipulate one another and therefore constantly create new compositions.